On the 21st of June 2015, a rebel group sabotaged an oil pipeline in the rural area of Tumaco (Pacific coast of Colombia) causing the “the worst environmental and social damage in the last ten years in Colombia”, according to the Colombian Ministry of Environment. Large amounts of crude oil were spilled into water sources, threatening access to safe drinking water for over 160,000 people. Following an initial response provided by the local government, Plan UK and Action Against Hunger (ACF) UK alerted the Start Fund to gaps in the response. 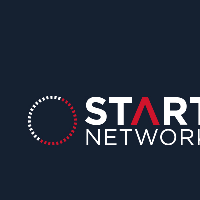 In less than 72 hours, agencies submitted proposals which were technically peer reviewed and selected by a committee of Start Network representatives. Both ACF and Plan UK were awarded £100,000 each to conduct critical relief activities, including distribution of water tanks, filters and hygiene kits. This rapid fund allocation will help respond to the needs of the most vulnerable households, and hopefully trigger some larger-scale involvement of international donors and NGOs. All Start Fund responses are completed within 45 days. This crisis is the third alerted to the Start Fund in Colombia. Start Funds were allocated in June to respond to landslides in the region of Salagar and also in December 2014 to support communities affected by escalating conflict in the region of Chocó.